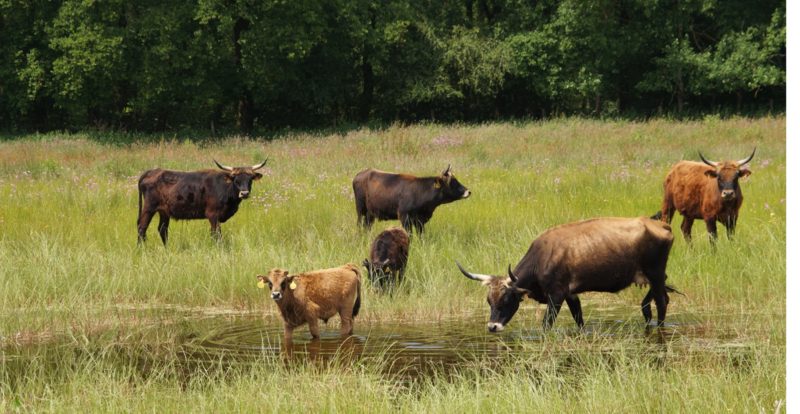 The three-year, pan-European preparatory LIFE project will evaluate the effectiveness of various grazing management models – involving both fully domesticated and wild/semi-wild herbivores. Rewilding Europe is delighted to announce that it has secured funding from the European Union (EU) for a three-year preparatory LIFE project entitled GrazeLIFE. The funding of 500,000 euros – the maximum possible for such a project – was approved on December 20, 2018. As part of Rewilding Europe’s efforts in the Velebit Mountains of Croatia, semi-wild horses graze on the Lika Plains. The new project, which will run until the end of 2021, will evaluate the effectiveness of various grazing management models – involving both fully domesticated and wild/semi-wild herbivores – in maximising wildfire prevention, underpinning climate change adaptation, and generating resilient, biodiversity-rich ecosystems. This will then enable the most effective models to be better supported by EU policies and legislation going forwards. The LIFE programme is the EU’s funding instrument for the environment and climate change action. Its general objective is to contribute to the implementation and development of EU environmental and climate policy and legislation by co-financing projects with European added value. Once a year the European Commission identifies specific needs regarding such policies and legislation, and then calls for proposals that address such needs – approved proposals are labelled preparatory LIFE projects. Working with a range of partners across Europe, Rewilding Europe – which published a booklet on natural grazing in 2015 – will coordinate the GrazeLIFE project. Such partners include the Universities of Leipzig (Germany) and Porto (Portugal), as well as organisations with practical rewilding experience involving wild and semi-wild herbivores, such as Rewilding Ukraine, the Rewilding Rhodopes Foundation, and Dutch NGO ARK Nature. In total, the project will consider grazing management models in eight regions (encompassing 11 European countries), from Spain and Portugal in the west, to Ukraine in the east. Wouter Helmer, Rewilding Europe’s Head of Rewilding, believes Rewilding Europe is perfectly placed to head up the GrazeLIFE project. “Even though we are a relatively young organisation, we have significant expertise in developing and implementing land management models, and can leverage an extensive network of partners involved in both the theory and practice of different grazing systems,” says Helmer. 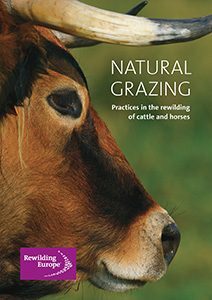 The publication “Natural Grazing – Practices in the rewilding of cattle and horses” was published by Rewilding Europe in 2015. The GrazeLIFE project will address an urgent need for a better understanding of how different grazing systems can bring a wide range of benefits to both people and wild nature across Europe. A number of experienced scientific specialists will be associated with the GrazeLIFE project. These are as follows: Dr. Liesbeth Bakker, an ecologist at the Netherlands Institute of Ecology (NIOO); Dr. Alfons van der Plas, an ecosystem ecologist at the University of Leipzig; Dr. Guy Pe’er, a conservation biologist at the German Centre for Integrative Biodiversity Research (iDiv) Halle-Jena-Leipzig and Helmholtz Centre for Environmental Research (UFZ), and Dr. Francisco Moreira, of the Research Centre in Biodiversity and Genetic Resources at the University of Porto (CIBIO/InBIO), whose specialisations include wildfire ecology. Collectively these four experts will oversee a doctoral research student based at iDiv, with a new PhD position created as part of the GrazeLIFE project. For more details on this position, which can be applied for until February 1, please view this page. A dedicated GrazeLIFE website will be established this summer. Read more about Rewilding Europe’s involvement with natural grazing here.